The Luso-American Development Foundation (FLAD), based in Lisbon, Portugal, gave $130,000 to launch two initiatives in the newly created Portuguese Beyond Borders Center at Fresno State. The grant will be split two ways with $100,000 funding the Portuguese-American Oral History Project and $30,000 to fund a speaker series. 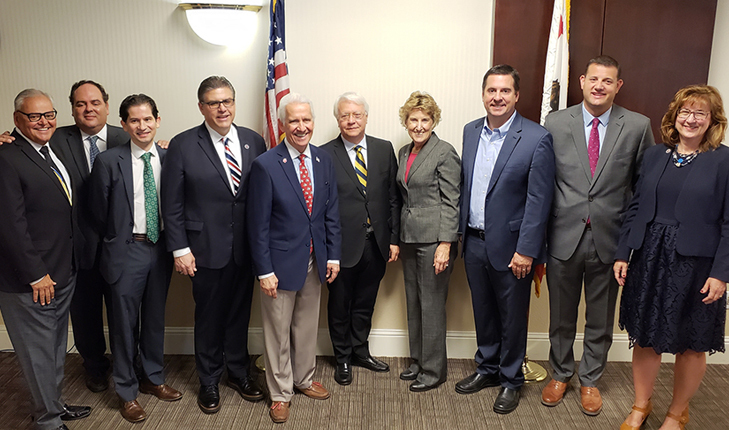 Rato, along with foundation director Miguel Vaz, joined Castro, Rep. Jim Costa, Rep. Devin Nunes, Rep. David Valadao and other University officials, students and faculty for a reception and gift announcement on Nov. 5 at the Smittcamp Alumni House. Fresno State’s College of Arts and Humanities, Jordan College of Agricultural Sciences and Technology and College of Social Sciences will coordinate the projects. The Portuguese-American Oral History Project has the goal of creating and preserving a record of the experience and histories of the Portuguese-American community in the Central Valley. “Our Valley has rich histories of immigration, agricultural labor and burgeoning urban areas that can contribute so much to the narrative of California and our nation,” said Dr. Michelle DenBeste, dean of the College of Social Sciences at Fresno State. “This project will be truly meaningful for our Portuguese-American community because the knowledge, life experiences and personal history of trailblazing Portuguese-Americans will open new, inter-generational bridges of understanding and appreciation,” said Dr. Saúl Jiménez-Sandoval, dean of the College of Arts and Humanities at Fresno State. The legacy of the oral histories will be permanent, as transcripts and audio recordings that meet accepted historical standards and guidelines will be kept permanently in a special collection at the Henry Madden Library on campus. The second project of the grant will focus on a speaker series. The speaker series will be unique, as local and international speakers will alternate in enriching the Valley with Azorean and Portuguese traditions. The speakers will narrate the challenges they faced during their careers, talk about proactive practices that helped them succeed and offer insights and experiences that convey personal wisdom. National and international experts in Portuguese matters will represent a broad range of timely content including global affairs, the economy, business, arts and agriculture. “The series will give students, faculty, alumni and members of the community an opportunity to hear from distinguished experts and scholars, maintain an educated connection to the Portuguese world and establish a sense of community that lasts for generations,” Jiménez-Sandoval said. Nearly 350,000 Portuguese-Americans live in California, the highest population of any state according to a 2016 U.S. Census Bureau survey. During the last decades of the 19th century, large numbers of Portuguese people moved to Central California and engaged in fruit, vegetable and dairy farming; creating the second largest concentration of Americans claiming Portuguese ancestry, according to the Library of Congress. Since its founding in 1985, FLAD has supported projects involving scientific institutions, universities, the business community and other organizations from Portugal and the United States. 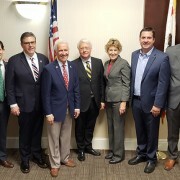 With a focus on economic and scientific cooperation between the two nations and the promotion of the Portuguese language and culture in the U.S., FLAD believes Fresno State is the perfect partner for connecting to the deep agricultural roots of the Portuguese community in the Valley. The Portuguese Beyond Borders Center takes a holistic approach to the breadth of knowledge the Portuguese world has to offer by incorporating viticulture, economics, political science, history, language and culture.